Let the (Swimming Pool) Games Begin! This year you plan to wow the family with some new swimming pool games for kids they’ve never played before. Duck Soup: All players start at one side of the pool. Each has a rubber ducky. At “GO!” players race to push their ducky to the other side of the pool first. They can push with their noses, blow on it, make waves — but they cannot touch it with their hands — or bite it! 😉 The player to get his ducky to touch the opposite wall first is the winner. Frozen Tee Race: In your villa’s kitchen, soak two T-shirts in water, place them in separate 1-gallon plastic bags and freeze overnight (preferably 2 nights). On game day, two teams form on one side of the pool, and each team gets a frozen shirt. The object is to thaw out the shirt enough so that a team member can put it on. Shirts can be submerged, twisted, whacked on the cement, sat on, breathed on, etc. (Jacuzzis are off limits, though.) 😉 Every 15 seconds, someone yells “Switch!” and a new team member gets to try to thaw the shirt. The first team able to put on the shirt and swim to the other side wins. Soaked Tee Relay: Best for older kids, this is ideal after the Frozen Tee Race! Teams line up on one side of the pool. They put on a large soaking wet T-shirt and swim to the other side of the pool and back. They then take off the shirt and hand it to the next player who must put it on and swim. (This is a LOT harder than it sounds). Keep the relay going until one team wins. It! : “It” sits on the edge with his back to the pool while the others gather at the opposite end in the water. When “it” calls out a category, each player silently thinks up an answer. For example, “flavors of ice cream.” “It” will slowly shout out answers. “Chocolate! . . . Vanilla! . . . Rocky Road!” When a player’s answer is shouted, he must swim to “Its” side and try to touch the wall without being detected. If “it” hears swimming, he can turn around and dive into the pool to tag a player. If he turns around and everyone still has a hand on the side, however, then “it” must take a step further from the edge and start again. A swimmer who gets caught becomes “it”. The Invisible Bottle Quest: This is a challenge! Fill an everyday clear plastic drinking bottle with water and remove its label. As everyone closes their eyes and ears, either toss or quietly slip the bottle into any spot in the pool. At “GO!” players try to find the bottle first. Hint: If the cap is the same color as the bottom of the pool this is even harder! Noodle Joust: This takes one pool noodle and one float per player. (Floats could be a raft, tube, swan, etc.) Doubling up is fun, too! Players mount their floats, noodles in hand and at “GO!” everyone paddles to the center (far from the edges) and tries to unseat each other from their floats using only noodles, feet, and humorous intimidation. Set some safety rules apropos to your players’ ages. A total hoot! Yup. Family pool time is definitely your favorite holiday tradition. 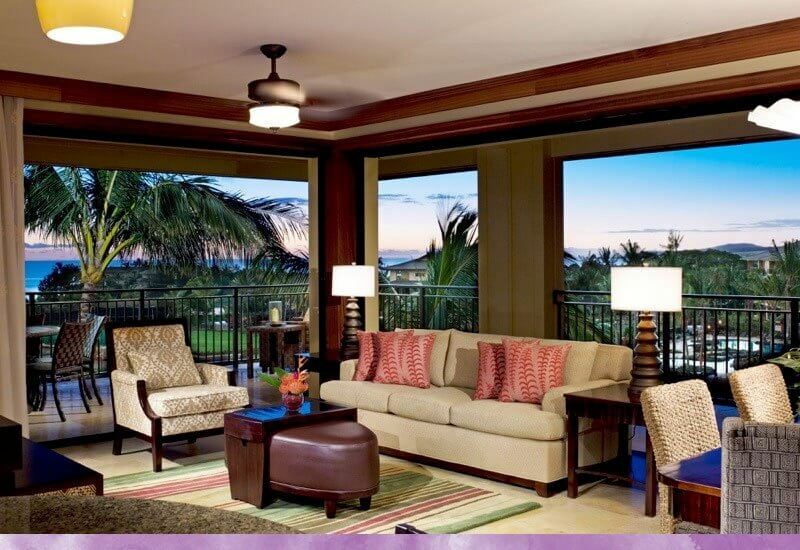 Talk with our expert concierge team at Koloa Landing Resort for more family fun ideas. Visit one of our poolside Activity Huts for snorkel gear, local Christmas Traditions, and seasonal recommendations. Contact us for additional information.